Bucky Barnes is one of the most fascinating characters to develop in the modern Marvel Universe, growing from oft-referenced Golden Age relic to an all-new Winter Soldier. Bucky’s growth into the Winter Soldier both rejunivated the Captain America comics (with Ed Brubaker and Steve Epting at the creative helm) and Marvel Cinematic Universe’s served as the source material for some of the best films. Below you’ll find a guide to all eras of Bucky comics, from his golden age turn as Marvel’s first sidekick through his many modern paths as Winter Soldier. If you have any questions or suggestions, please reach out in the comments below. As always, enjoy the comics! The 1941 origins of Captain America and Bucky. Bucky’s golden age appearances alternate outside of the main Cap title in All-Winners Comics, and the more teen focused Young Allies. As always, these Golden Age comics are more for readers invested in the historical growth of comics. You don’t need all these 40’s issues to understand the more modern Winter Soldier aspects of the characters, other than understanding that Bucky and Cap were totally in World War II together. In actuality, the first Avengers comics from Jack Kirby and Stan Lee are 100% Bucky free, but his memory lingers in the thoughts and flashbacks of the reanimated Captain America. Starting with Avengers #4, when Cap is rescued by The Avengers! The issues Tales of Suspense #63 to #71 include flashbacks to Cap and Bucky’s time in World War 2. 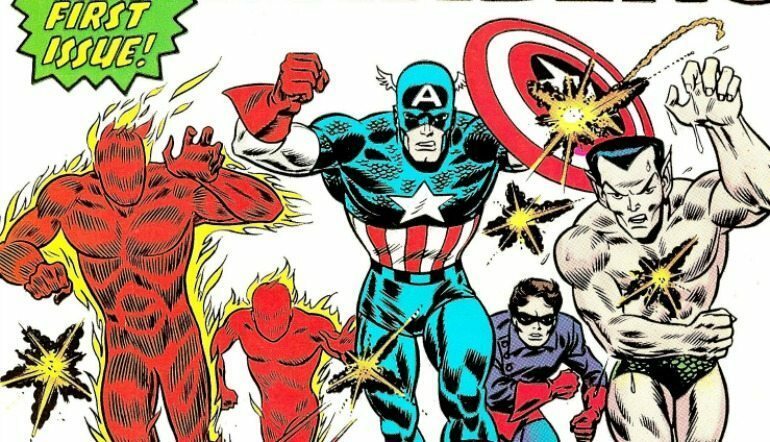 In the 1970’s Roy Thomas and Marvel launched “The Invaders,” showcasing the World War 2 exploits of Captain America, Bucky, Namor, and the Golden Age heroes from this time period. Bucky will consistently interact with the Invaders throughout Marvel history, and the team comes up in modern comics as well. The return of Bucky to the Marvel Universe! Or is it? The second Captain America and Bucky return! An Invaders vs. Baron Von Strucker story from Roger Stern! 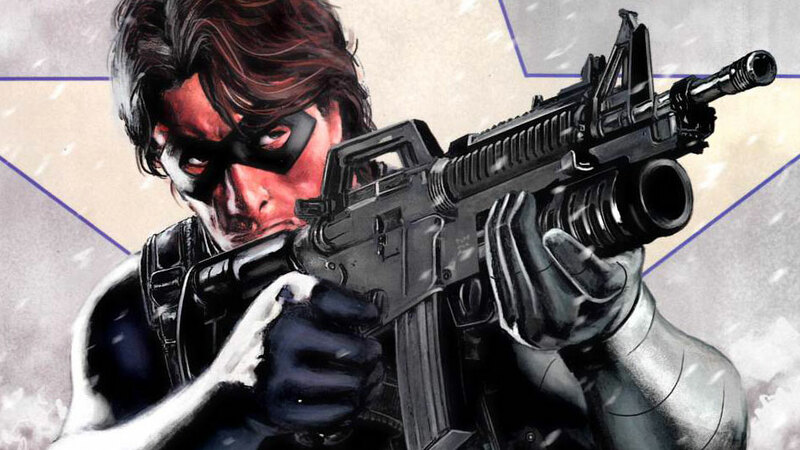 Ed Brubaker Winter Soldier Comics Begin! In the mid-2000’s, Ed Brubaker left DC Comics, and some fine work on Batman to take over Captain America for Marvel. 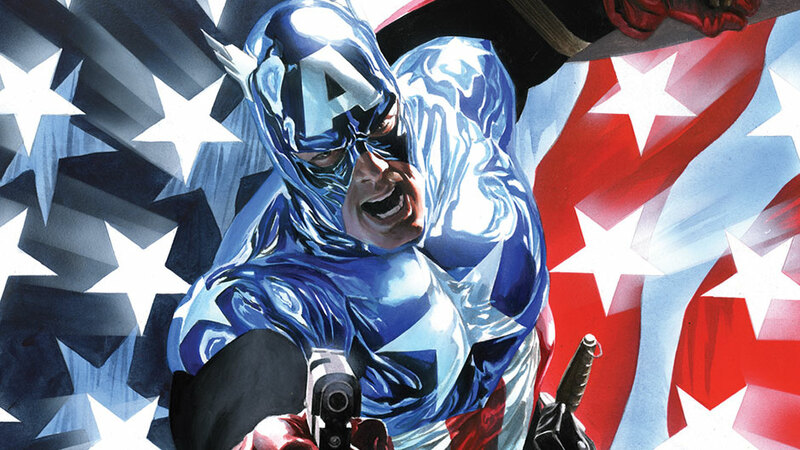 Brubaker and artist Steve Epting reinvigorated the title, and frankly the entire Marvel Universe, with the Winter Soldier saga. The entire lengthy run is fantastic, but it all begins here. This marks the launch of Bucky as Marvel Comics and MCU fans know him today. Captain America #10 is skipped here due to the fact that it’s a House of M tie-in! 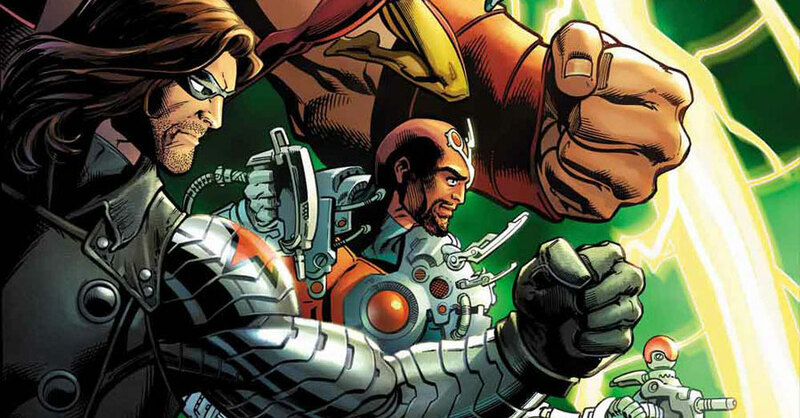 Bucky plays a small but interesting role in the alternate reality Marvel Event of 2005. You can find the entire event in Comic Book Herald’s complete House of M reading order. Bucky is largely absent from the actual Civil War event, which focuses more closely on Steve Rogers, Captain America. The fallout from Civil War will lead to major changes for the Winter Soldier, though. Find the entire event in Comic Book Herald’s complete Civil War reading order. From Winter Soldier to new Captain America. Bucky deals with the fall of Steve Rogers, and the ongoing schemes of the Red Skull. The modern-day New Avengers meet the time-traveling World War 2 Invaders roster. Another mega Marvel event that will lead to big changes for Bucky. Comic Book Herald’s complete Secret Invasion reading order. 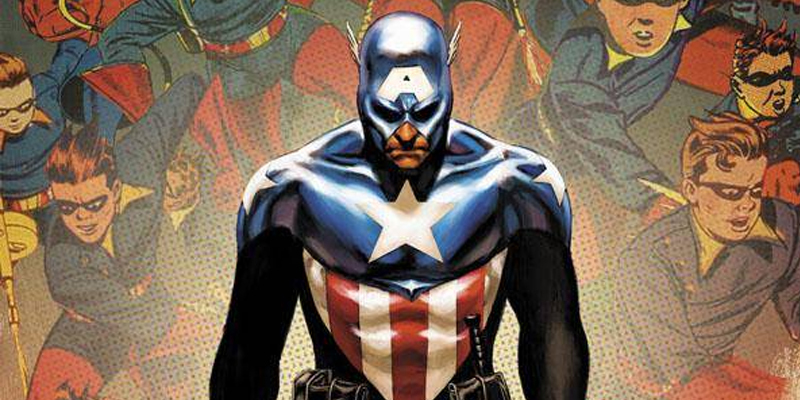 The new Captain America joins the New Avengers, and becomes a regular part of the ongoing New Avengers comic. Siege effectively marks the culmination of Marvel Universe events beginning with 2004’s Avengers Disassembled, and makes the rest of the Marvel Universe aware Bucky is no longer the only Captain America running around. Can The Winter Soldier Wield The Shield? With Steve Rogers back in the picture, Bucky and Steve decide who wield the shield of Captain America. Bucky Cap joins the Heroic Age Avengers. 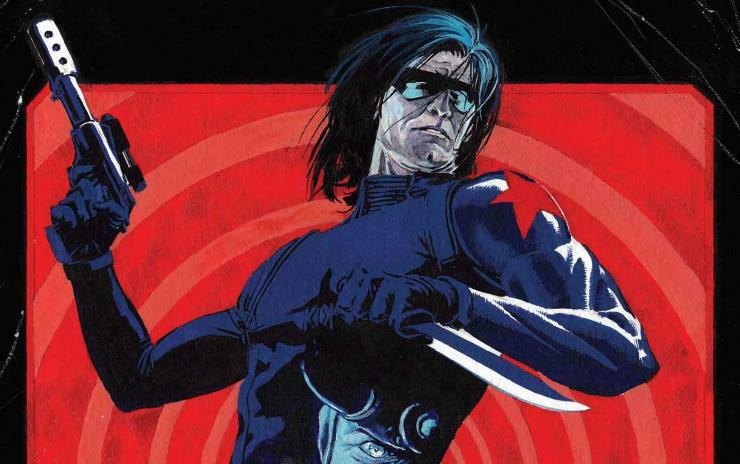 Invaders miniseries starring Bucky Barnes. Bucky finally faces the music for the crimes committed as the Winter Soldier. Can a man with Bucky’s past be Captain America? Cap and Bucky flashbacks to World War II! Marvel’s 2011 event features big changes for Bucky, and sets the stage for his next ongoing solo series. Comic Book Herald’s complete Fear Itself reading order. Ed Brubaker’s time on Captain America and Bucky comes to a close with the absurdly excellent solo Winter Soldier series. Bucky relinquishes the Captain America title, and returns to his life as master of espionage. Miniseries by Rick Remender showcasing some of the Winter Soldier’s actions during the 1960’s. Bucky jumps into Marvel NOW! with an All-New Invaders roster set in modern day Marvel. 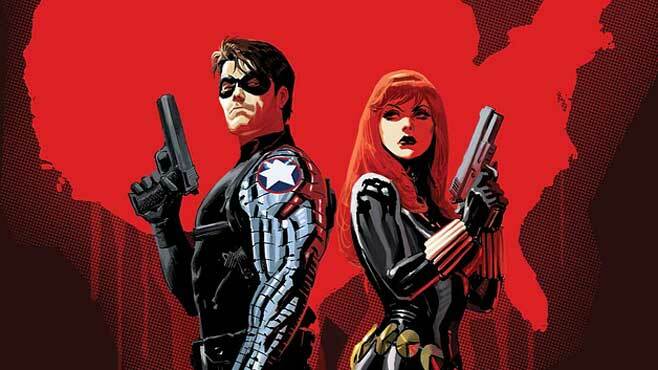 Original Sin is Marvel’s 2014 mega event, with a major focus on the Winter Soldier. Sets up the next ongoing solo Winter Soldier series as well. Comic Book Herald’s complete Original Sin reading order. Teen Bucky! Hardly required reading for Winter Soldier continuity, but a fun alternate reality set during the amazing 2015 Secret Wars. Avengers Standoff results in major changes for the entire Captain America family, and sets up Bucky for his next ongoing series with the Thunderbolts. To make heads or tails or all the issues collected, I recommend Comic Book Herald’s complete Avengers Standoff reading order. Bucky Barnes, leader of the Thunderbolts! this is the greatest thing I’ve ever seen! thank you so much!! I’ve been trying to find something like this list for so long. Thank you SO much for the time you took to put this together.